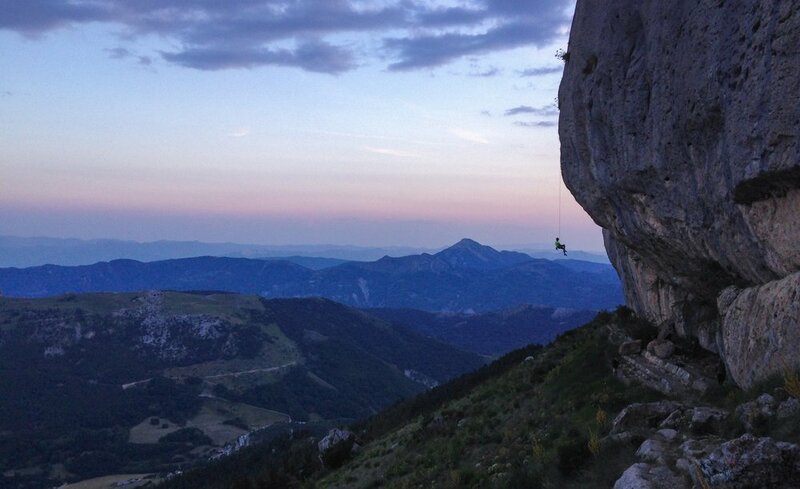 Céüse, fabled as the best in France, Europe or even the world by some it has become he place to be in the summer months for any aspiring sport climber. Whether you are aiming to crack your first 7s, brushing shoulders with the wads underneath the Biographie wall or heading off on a trad multi-pitch adventure there’s something for everyone. Returning for my third trip to the crag this year I slogged up the approach with high hopes of what it may bring, with an indefinite amount of time I was ready to get stuck in. After a few days my objectives began to change. 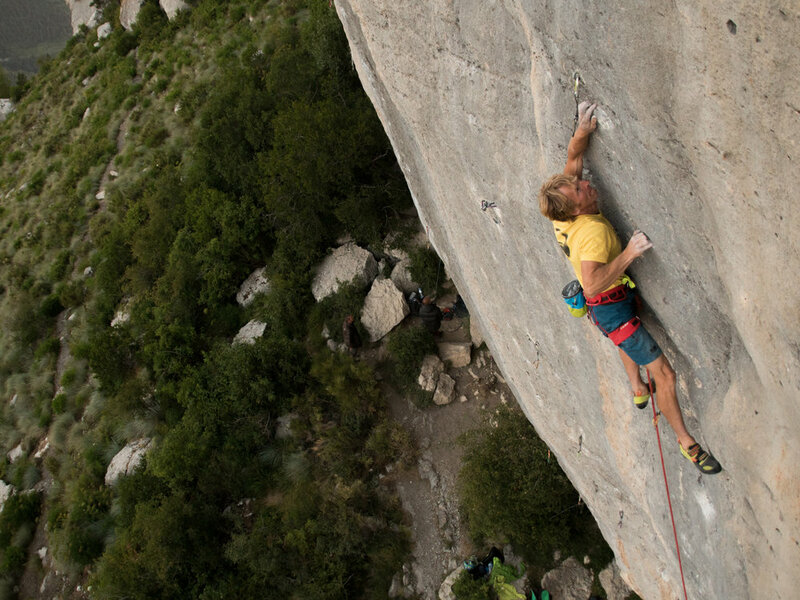 It turns out climbing the best you ever have, but for no more than ten moves, for the past six months doesn’t exactly translate to well to getting ridiculously pumped on thirty meters of pockets. My lack of sport climbing over that time also meant the stresses of redpointing projects seemed to hit me more than ever. After a few days of not enjoying my climbing it was time for a change in my game plan. After speaking to friends I quickly realized that it’s silly to be on a trip like this and to just spend my time being frustrated. Especially when that frustration is essentially directed at a trivial line upon a much greater canvas. By now a familiar crew of us had assembled at the crag. A group made up of primarily Brits by interspersed with international flavors of Switzerland, Italy, Denmark and America. Our group was brought together by a common interest in one short stretch of the Berlin sector. Many a day was spent with much laughter at the base of the crag, only broken with shouts of encouragement as someone dipped out to try their project. By changing my focus I ticked off a few easier projects; routes I’d tried in the past, new additions or simply ones I’d never got round to getting on. It felt good to be enjoying my climbing again and feeling the satisfaction of clipping chains. In between burns or on off days I began to enjoy taking the camera out. I attempted to capture those at their limit on projects, the scenery, the atmosphere of the crag or ideally all of them in on shot. It’s great to be at the crag with a different focus than simply that next go on a project. Trying to find a creative way to capture our interactions with nature while we pursue the goals we bestow upon ourselves in this strange game of climbing. So next time you head somewhere, whether it’s a new location or somewhere you’ve been a hundred times, take a step back and try and capture it from a different perspective. You will be surprised at what it can do for you.